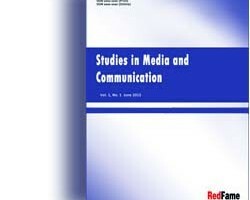 Studies in Media and Communication (ISSN: 2325-8071; E-ISSN: 2325-808X) is an international, peer-reviewed, open-access journal, published by Redfame Publishing. The journal is published semiannually in both print and online versions. The journal accepts article submissions online or by e-mail.